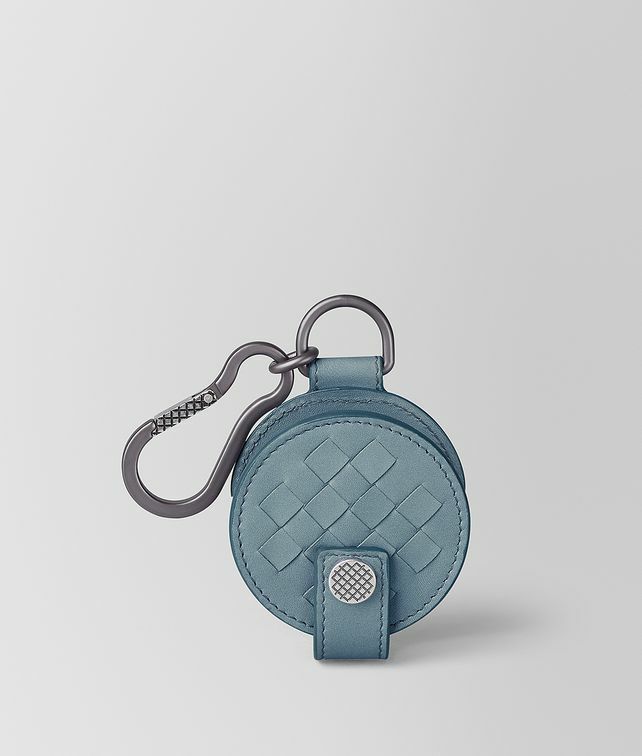 This headphone case is crafted from sturdy VN leather with a panel of woven intrecciato on the front. Ideal for daily use or travel, it features a central spool to prevent the cord from tangling and is accented with an intrecciato-engraved snap fastener and carabiner to easily clip it on to a bag or luggage. Finished with hand-painted edges. Hardware: Antique silver, Brunito finish Height: 6.5 cm | 2.5"
Width: 6.5 cm | 2.5"